The post “Communities don’t matter”: Colombia’s former mining association head appeared first on Colombia News | Colombia Reports. The former head of Colombia’s mining association ACM and CEO of gold mining firm Minesa has been caught on video saying that “communities don’t matter” for decision makers in Bogota to approve mining projects. In a leaked video, Minesa CEO Santiago Urdinola said that widespread protests against the development of the country’s largest underground gold mine can easily be countered by black propaganda. Minesa, which is largely owned by the United Arab Emirates, wants to mine for gold in the Santurban region, but is fiercely opposed in the region because the paramo is supplies the drinking water in the Santander province and is largely a nature reserve. But these local protests are irrelevant as long as the mining company is able to blame the protests on Senator Gustavo Petro, one of President Ivan Duque’s most vociferous opponents in Congress. If I set the world on fire but they feel okay in Bogota, we are okay!.. and if our story makes them believe that Petro is just marching to take down the government, then they will say, “I will not let Petro take down that license, I will grant that license.” This is what works for us! “There’s going to be a lot of media pressure here. The media like the story of the community that is brave, not the story of those we have helped, of the children who go to school and of which there is drinking water thanks to Minesa. The Committee for the Defense of Santurban Paramo, which opposes mining in the area, released the video and said they would be asking the country’s environmental regulator to acknowledge the clip. Minesa has applied for an environmental license to go ahead with its mega project in the northeast of the country – which will see investment of $1 billion over the next five years, and hopes to produce 410,000 ounces of gold per year for a period of 20 years. But the Soto Norte project is opposed by locals who are concerned over their water supply and others who oppose the destruction of one of Colombia’s most unique ecosystems. “We strongly reject these video statements. It is a strategy against citizens, who we mobilized nine years ago to reject mega-mining in Santurban,” Mayerly Lopez of the Committee for the Defense of Santurban Paramo told W radio. The post Colombia ups number of Cauca landslide deaths to 32 appeared first on Colombia News | Colombia Reports. Rescue workers have recovered the remains of 32 victims of a landslide that buried eight homes in southwest Colombia, according to disaster response agency UNGRD. Bodies were still being recovered and identified on Wednesday after the deadly landslide hit Rosas, a remote municipality in the rural department of Cauca, on Sunday. Eight homes were buried in mud in the early hours of the morning after heavy rains caused a hillside to collapse. Thirteen men, 14 women and five children have been identified so far, according to the UNGRD disaster response agency. The UNGRD added that 152 food kits, 200 mats, 200 blankets, 52 toilet kits and 52 kitchen kits were delivered to the site. Over 150 rescue workers from the Red Cross and other agencies have working to find other missing people. President Ivan Duque visited Rosas on Sunday and said “necessary actions” were being taken to care for the victims. Rosas Mayor Jesus Eduardo Diaz said other homes in the area could also be in danger because of heavy rains. Landslides are common in mountainous Colombia and those living in poor, rural regions are often hit hard due to poorly constructed homes on hills. One of the most deadly landslides in recent history was in the rainforest town of Mocoa in 2017, which saw over 300 people killed after heavy rains caused river banks to burst. But despite the tragedy, funds needed to resettle people and build new homes have still not been allocated. Heavy rains have hit the country hard in recent weeks, with poor infrastructure in deprived areas of the country struggling to cope. The post At least 10 killed in southwest Colombia landslide appeared first on Colombia News | Colombia Reports. At least 10 people were killed in a landslide in southwest Colombia. Authorities said Sunday they were still inquiring if people were missing. 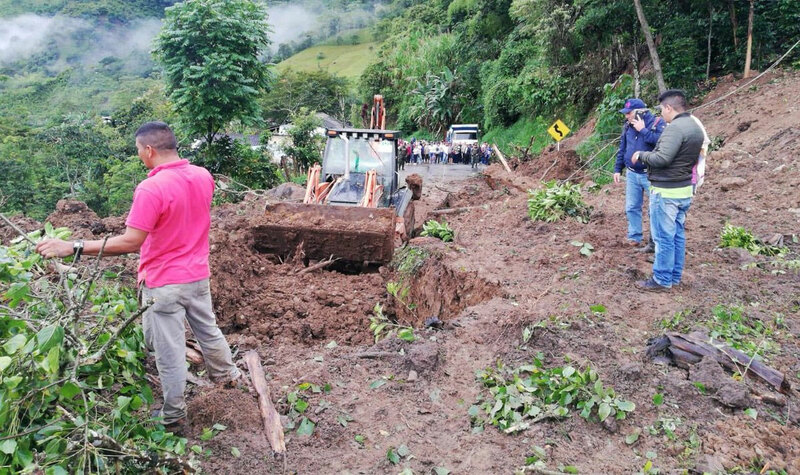 The landslide occurred early Sunday morning in Rosas, a municipality in the Cauca department. “The landslide occurred in the hamlet of Portachuelo… after part of a mountain broke off and buried around seven houses that were located on one side of the road,” an unidentified rescue worker was quoted as saying by news agency Colprensa. Local disaster management officials told Caracol Radio that the landslide buried eight homes. The national army sent personnel from the 3rd Division, which is based in Cali, to the area to help in the rescue efforts. The landslide blocked the Pan-American Highway, which connects central Colombia to Ecuador. Road infrastructure agency Invias said it had begun clearing the road. Two people were rescued alive in the first hours of operation, Cauca disaster manager Andres Gomez told Caracol. Mayor Jesus Eduardo Diaz told Blu Radio that tons of earth, mud and rocks came off the mountain and buried the homes and the highway. The mayor’s office opened its doors to attend locals who are missing loved ones and determine how many people may be buried under the rubble. Landslides are common in Colombia during rainy season, particularly in mountainous areas like Cauca. The post Colombia’s VP admits black magic poses threat on Venezuela’s opposition leader appeared first on Colombia News | Colombia Reports. Colombia’s vice-president on Friday admitted that black magic is posing a threat on Venezuela’s opposition leader Juan Guaido. Vice President Marta Lucia Ramirez assured, however, that “the protection of God is superior to any black magic they may try” on Twitter. Self-proclaimed clairvoyant Moyra Victoria said “they should carry out a coup now” after claiming she had visions of Guaido, who declared himself president of Venezuela in January, in prison. At the same time, Victoria said she had visions in which Maduro was abandoned by the authoritarian president’s strongest ally, Russian President Vladimir Putin. Ramirez and her boss, President Ivan Duque, are both strong supporters of Guaido’s bid to the Venezuelan presidency and devout Catholics. The belief in black magic in Venezuela and Colombia has its roots both in Christianity and Afrocolombian traditions. The last burning of an alleged witch in Colombia was reported in 2012 in Santa Barbara, a town some 10 miles south of the country’s second largest city, Medellin. 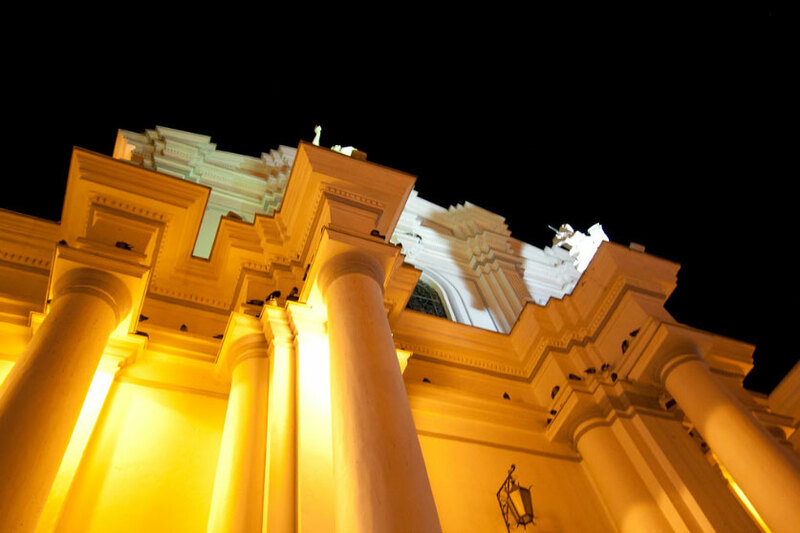 The post Popayan, one of Colombia’s most sacred sites appeared first on Colombia News | Colombia Reports. 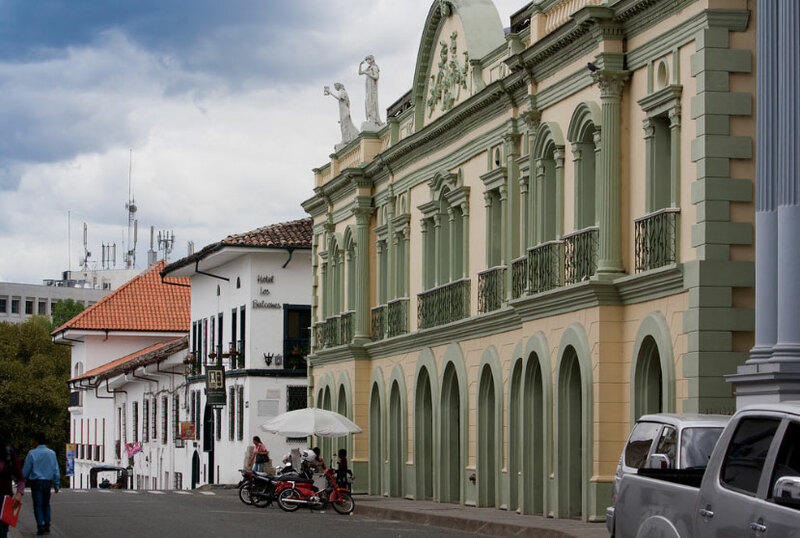 Popayan is arguably the most important city during Colombia’s Easter celebrations, but is also stunningly beautiful and has a fascinating history. The 481-year-old city is currently the capital of the southwestern Cauca province and located in the Pubenza valley between two of the Andes’ mountain ranges. The city is internationally recognized not just for its breathtaking colonial architecture, but also for its culture. UNESCO, the United Nation’s culture agency, considers the city’s Holy Week tradition an intangible cultural heritage of humanity and has additionally recognized Popayan’s gastronomy as unique in the world. The architecture of the “white City” may not have received this formal recognition, but is widely considered the most beautiful in Colombia. 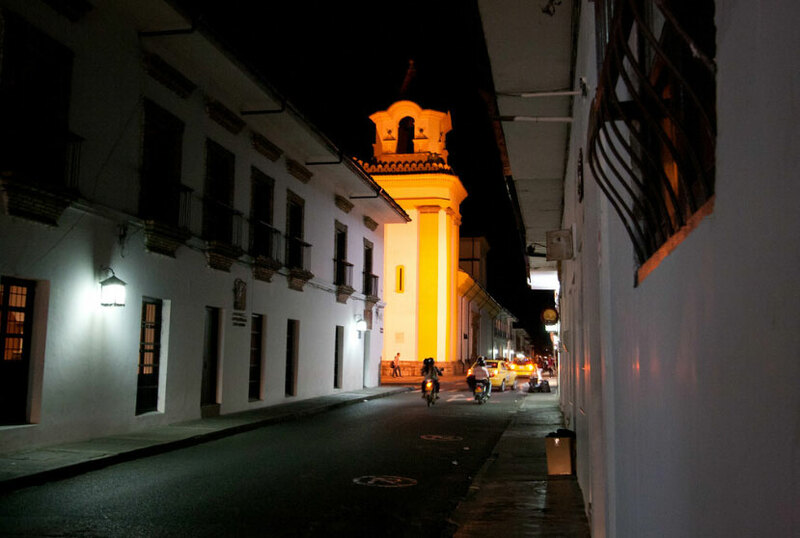 The site where Popayan was founded was a native Colombian settlement until Christmas Eve, 1536 when captain Juan De Ampudia defeated the local inhabitants and occupied the strategic site until the arrival of conquistador Sebastian de Belalcazar a few weeks later. The conquistador previously founded other mayor cities like Cali and Quito. His subordinates immediately embarked on a centuries-long campaign to subject the native people to Spanish rule and the Roman Catholic faith, but with little success. 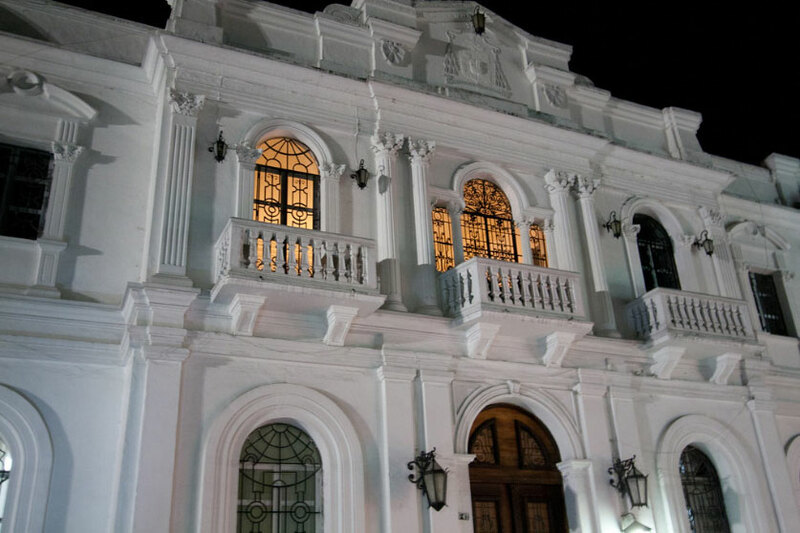 Tensions between the Catholic elite of Spanish descent in Popayan and the largely native Colombian population in the surrounding rural areas remain until this day. Three years after the foundation of the city, Belalcazar became the first governor of the Popayan province that did not just consist of what is now called Cauca, but also parts of what are now the provinces of Antioquia, Choco, Putumayo and Amazonas, and even included parts of what is now Ecuador and Brazil. The region’s abundance in gold and agricultural land made the Spanish rulers and the city of Popayan tremendously wealthy and powerful. Colombia’s 1810 revolution for independence of Spain was opposed by Popayan’s elite, who continued opposing centralist rule from Bogota until 1824 when a drastically reduced Popayan province became part of the Cauca department. 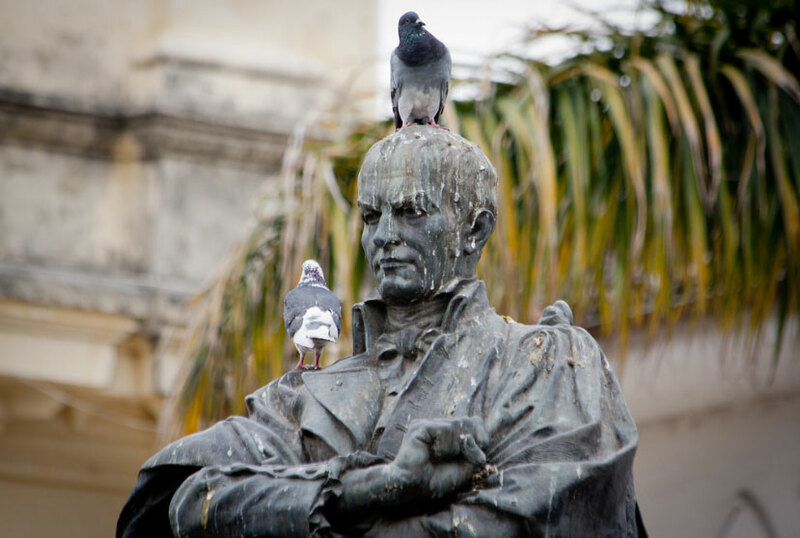 Throughout the history of Colombia, Popayan has been of tremendous importance, both politically and culturally; seventeen of the country’s presidents as well as poets, composers and painters were born the city. The University of Cauca, which is located in the city, is one of Colombia’s oldest and most renowned. The city and its splendors were nearly destroyed in 1983 when on Maundy Thursday, one of the holiest days of the year for Catholics, a 5.5 magnitude earthquake struck. “The collapse of 448 years of history in just 18 seconds” as one historian put it killed 300 people and left tens of thousands homeless, but also triggered one of the most impressive recovery processes in the history of Colombia. While some of the ruins left by the earthquake are still visible in the city, many of Popayan’s archaeological treasures were restored.